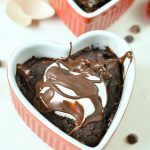 Low carb mug brownie for two, NO microwave needed! An healthy keto fudgy brownie with NO egg. 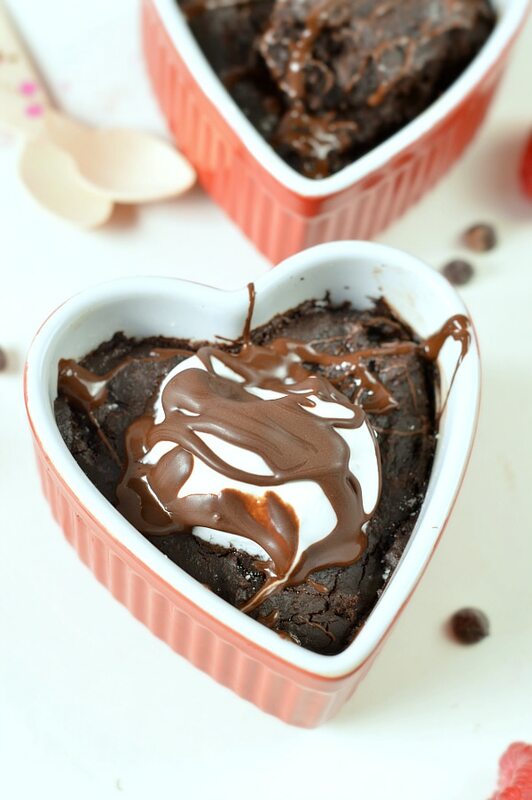 Easy, gooey gluten free chocolate peanut butter treat for Valentines day. Valentines day is just around the corner and as you now I eat low carb sugar free but my partner is vegan, it means he won’t eat eggs or dairy. That is how I came up with this easy low carb recipe, a vegan keto mug brownie. Peanut butter – I am using natural peanut butter made of 100 % peanuts, no added oil, no added salt or sugar. This is very crucial to keep the recipe sugar free. I know, I called this recipe a ‘mug brownie’ and now I tell you you don’t need a microwave, confused? 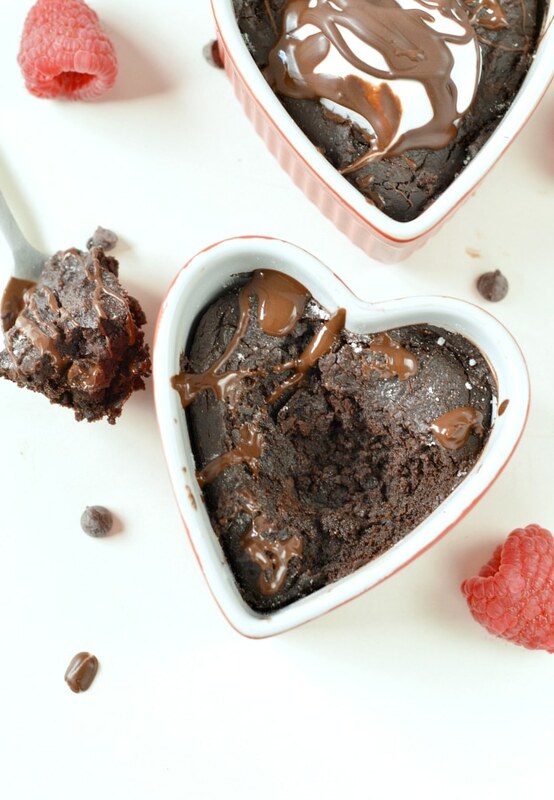 Well, this is a recipe that can be baked in the microwave, usually 90 seconds per mug brownie is enough. I don’t like baking my food in the microwave so I recommend you use 2 small oven-proof ramekins and bake both ramekins at the same time for 12 minutes at 180C (375F) in the oven. 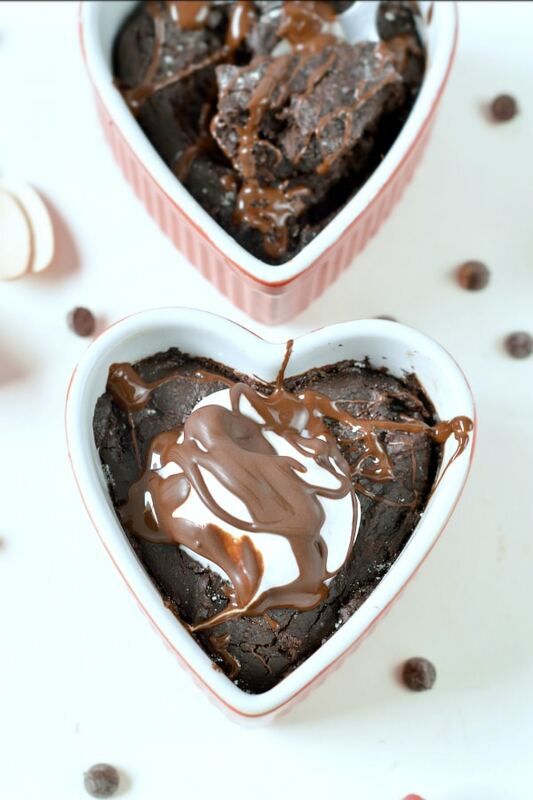 Watch the low carb mug brownie recipe video and make them now ! 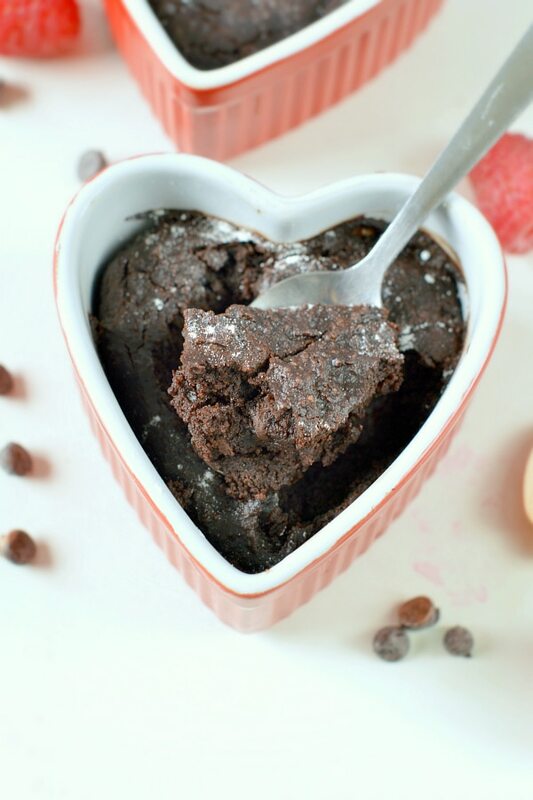 Enjoy the lovely low carb mug brownie and have a lovely Valentines day ! Preheat oven to 180C (375F). See microwave baking note if needed. Grease two oven proof ramekin with coconut oil or vegetable oil of your choice Set aside. In a medium mixing bowl, combine almond meal, unsweetened cocoa powder, sugar free crystal sweetener, baking powder. Add the peanut butter and vanilla extract - don't stir yet - set the bowl aside. Warm the unsweetened almond milk under the stove for 30 seconds (or microwave 30 seconds) if preferred. You want the milk to be lukewarm, think bath temperature. Remove from heat and pour over the previous mixture. Stir to combine. The warm almond milk will help incorporating the peanut butter into the batter. Stir in sugar free chocolate chips. Don't cook ahead in the microwave, cook just before serving. Split the batter evenly into 2 oven proof ramekin. Cool down 10 minutes, serve lukewarm with a dollop of unsweetened dairy free coconut yogurt or heavy whipped coconut cream. You can also serve this recipe at room temperature if preferred and bake this the day before. Serve in the ramekin for a beautiful presentation. Microwave option: if you like to cook with your microwave you can simply cook this mug brownie, one at a time, for 90 seconds in your microwave. Note that this won't store very well, you will have to serve the brownie straight away, simply cool down 2-3 minutes to avoid burning yourself but don't bake in your microwave hours before serving. Microwave baking dry brownies and it doesn't store well. 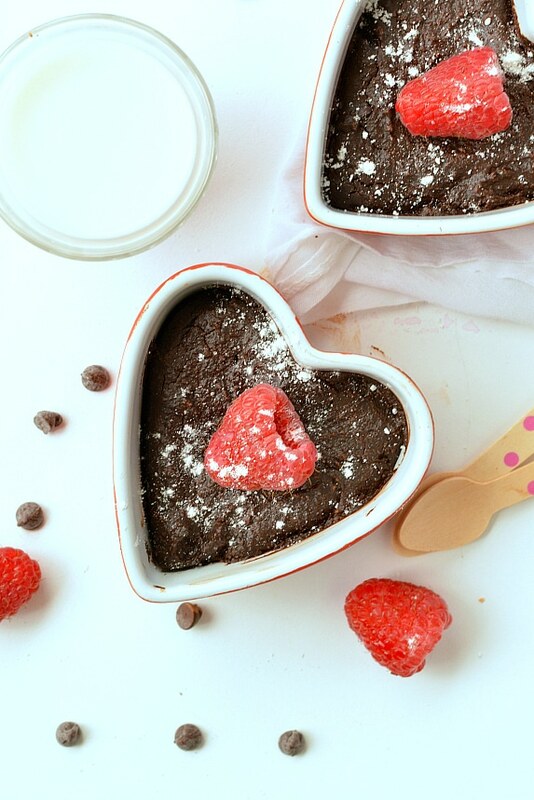 Nutrition panel is for one mug brownie, the recipe serve two mug brownies, includes sugar free chocolate chips. Net carbs per serve 6.9g. I just made this, but I don’t eat nut butters so I swapped it for melted butter, and I used 1 sachet of stevia and 1 tablespoon coconut sugar. It was gorgeous! Thanks for the inspiration! Hi Jill ! Such a great alternative to nut butter! I will definitely give it a try. I love mug cakes so easy to fix an afternoon sweet craving 😀 Thanks for following the blog. 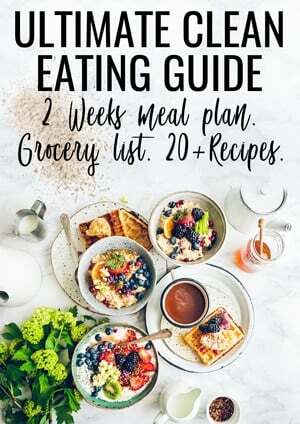 I hope you found more recipes you like here. See you around! xoxo, Carine. Hi, yes sure, I just uploaded the nutrition panel after the recipe box. It is for the whole recipe – serve one mug cake. It is calculated with sugar free chocolate chips sweetened with stevia and unsweetened almond milk. Enjoy ! xoxo Carine. All recipe must be baked in the center/middle level of your oven except if the recipe instruct you something different. It is at the middle level that the temperature is evenly distributed. Enjoy the brownies. XOXO Carine.